Karen Hutton explains the pros and cons as well as all her experiences that helped her with her photographic career. Think about some of the preconceptions you have about your work. Whether it is a subject, season, or your type of photography, try something new to challenge yourself. 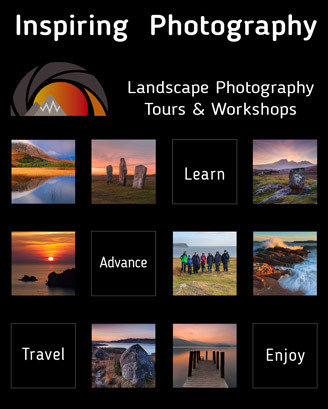 Jack Graham shares his life experience and advice on how to become a professional landscape photographer and photo tour leader. You love landscape photography. So, how hard is it to turn professional and combine hobby with work? Will you be able pay the mortgage by photographing landscapes? In an exclusive interview, Ken Kaminesky explains how he got started as a pro, the pros and cons of being one and the reason he switched to Fujifilm. Hanging off a cliff taking pictures, being exposed to any kind of extreme weather as well as pushing yourself to the edge – all in a day’s work for Ben Read. Visiting Acadia as a teenager, Chris Ward did not enjoy the experience. Now, more than 15 years later, he explains why he has completely changed his mind. What is it that brings extraordinary places like Ireland and their unique stories together? Marco Dadone explains why he has fallen in love with the country. Patricia Davidson explains in an exclusive interview how her photography journey started, where it is going and why she switched to Fujifilm. Iceland has so much to offer that even the scenes alongside the road are little jewels. It is the most inspirational destination for Nick Page. Do you photograph the night sky? Do you know which is the best way to avoid star trails and capture sharp images with good clarity? As photographers, we come across many areas that touch our hearts. For Ken Sklute, Monument Valley in Arizona is one of those places that every landscape photographer should visit at least once.